How many times have you found yourself trying to keep the kids occupied at a restaurant or cafe table while you wait for the food to arrive? 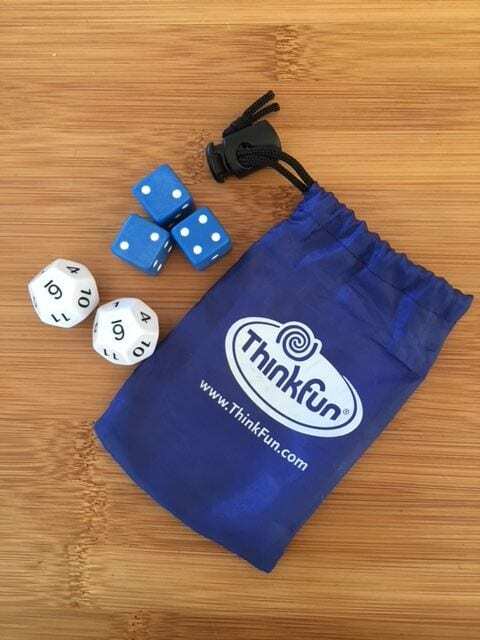 Instead of reaching for your phone as an easy distraction for them, how about whipping out a couple of 12-sided dice from your bag and challenging your children to a quick round of competitive mental arithmetic? Roll the two dice and see who can be the fastest to multiply the two numbers correctly. Younger siblings could add (or subtract) the numbers instead. The beauty of this game is that it can be as long or short as you like – two rolls of the dice before those toasties arrive, or twenty. A sure-fire way of exercising those mental arithmetic muscles and lots of fun too! A pouch of dice takes up next to no space in your bag or pocket. Keep a pouch with you, just like your phone, keys and wallet, and the range of games to play with them at home or out and about is endless. Packs of dice are available at most toy shops and newsagents.